brass education and test their efficiency. 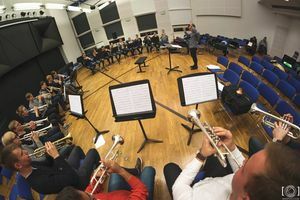 The intensive course aims to offer students an opportunity to improve their professional performance skills under the guidance of high-level teachers/performers, to expand their knowledge of repertoire for brass ensembles as well as to create interest in pedagogical career. The first session of the intensive course took place in November 2016 in Riga, the second session in November 2017 in Tallinn and the third session in November 2018 in Helsinki.